FOR the past 16 months or so, a perfect economic storm has been raging, affecting governments, businesses, individuals and non-profit organizations in an utterly non-discriminatory hurricane. In its still-churning wake, the storm is leaving shattered plans, busted budgets, depleted portfolios and dashed hopes. Corporations and institutions have been left crippled, or left for dead, and their leaders left wondering when it will all end. An economic environment, surely, to test the mettle of virtually anyone or anything that deals in money. Taking this global storm down to the microcosmic level of local community, its not difficult to see evidence of the damage. In the Denver Jewish community specifically, ambitious plans for a federation-led capital improvement campaign have been placed indefinitely on hold; community-run social service programs have cut back hours and benefits; staffers of Jewish community organizations have been laid off or seen their hours reduced. 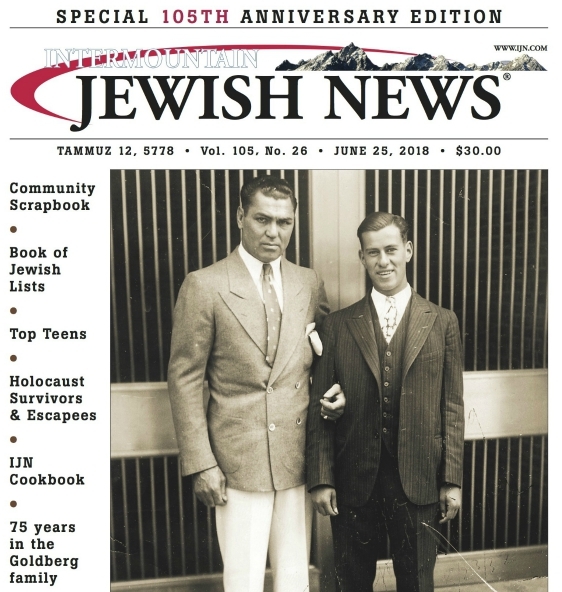 Taking it down an additional microcosmic level  to that of Jewish day schools with elementary students  the Intermountain Jewish News sought to take a closer look at how the recessions ripple effect is impacting a very specific sector of the community. While the economic situation of elementary day schools is far from a mirror reflection of other community organizations, the schools funding, budgeting and planning processes are very similar to a great many other non-profits, and theyre all facing the same financial challenges. In the case of day schools, there are challenges aplenty. Among Denvers three day schools offering elementary education  the Denver Academy of Torah (DAT), Herzl-RMHA and Hillel Academy  there are some differences in how the recession is playing out. Some schools, for example, have laid off staff while others have not. Among the three schools, enrollment is either rising modestly, remaining flat or modestly declining. But there are many more similarities. All have drafted reduced or static budgets since the economic downtown began to get serious in September, 2008; all are seeing significant increases in requests for scholarships or tuition assistance; all have asked faculty and staff to make sacrifices; all have experienced increased difficulty in raising funds from individual donors and foundations. In the case of one school, leaders even discussed, in very real terms, the possibility that the institution might not survive the recession. All of the schools, however, expressed gratitude for what they described as very helpful unsolicited emergency grants from Rose Community Foundation last December  $65,000 to Herzl-RMHA, $30,000 to DAT and $30,000 to Hillel Academy, with the grants based on the schools respective budgets. By now, leaders at the three schools seem to agree that their survival is probable, if not guaranteed, but no one is under the impression that happy days are here again. Their long-term planning strategies are being articulated in modest, even defensive, terms, in full awareness that the storm is far from spent. They are, in other words, concentrating on weathering the storm and, much like the palm trees of the tropics, bending in the face of the wind so as not to be broken by it. AS the effects of the recession began to sink in at the beginning of the 2008-09 school year, says Rabbi Daniel Alter, head of school at DAT, two trends soon became apparent. There were a few families who had to approach us to renegotiate contracts because they had lost a job or their investments werent worth that much anymore, he says. The school did its best, the rabbi says, to follow through on those renegotiation requests  basically by reducing individual tuition based on need  and then opted for a creative approach to tuition rates for the following school term, 2009-10. Still, this was, in fact, a very generous policy, considering that normal full tuition at DAT usually runs between $11,000 and $12,000. Despite that, Rabbi Alter says that three families still opted out and withdrew their children. And while three families might not sound like a great deal in a school with an overall enrollment of 115 students, those families represent as many as 10 children, which indicates a drop in enrollment of nearly 10%. DAT estimates that more than half of the schools parents currently receive some tuition assistance, some in modest amounts, others in significant amounts. And while this years $1,000 minimum policy resulted in an increased burden on the school, a couple of developments helped DAT make up for it. One factor was the simple fact that three families left. 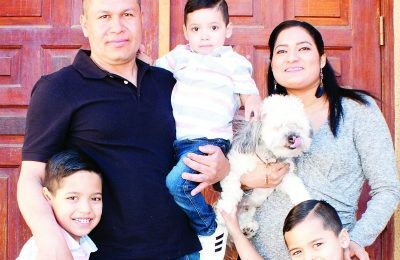 Those families were together receiving some $100,000 in tuition assistance, which freed up that money to help other needy families who opted to remain. Another factor was an unexpected and welcome gift. WHILE tuition is DATs primary source of revenue, the school remains dependent on individual donations through its fundraising program. Rabbi Alter estimates that the school has been obligated to raise about $400,000 a year to make up the difference. Thats the other area thats been hit, he says. DATs fundraisers have encountered an increasingly reluctant philanthropic market over the last year or so. It has been a harder climate to fundraise in, Rabbi Alter says, adding, however, that DAT is still doing better than a lot of other Jewish day schools in other cities. Im hearing trends around the country, he says. The schools that got hit the hardest often are the ones that had one big donor, someone who would give them $1 million a year, something like that. They become very reliant on that person. DAT has a relatively new development director who, Rabbi Alter feels, is helping the school avoid the worst in terms of fundraising. While that base remains very committed to DATs welfare, the rabbi adds, the best it can do is somewhat less than it was able to do a couple of years ago. Were at the point where were sort of in the corner, Rabbi Alter says. These are funds that we have to raise. Its not like its a choice. It just means that we have to work a lot harder to raise those dollars. The school has also responded to leaner times by cutting its budget some 5% lower than it was last year. Various non-critical programs such as extra-remedial assistance to students have been dropped. None of the schools teachers have been laid off, but no raises were offered last year. We cut back in certain areas, pretty much anything that we thought was peripheral, Rabbi Alter says. THAT budget, however, has remained balanced, which is very significant in the rabbis view. Rabbi Alter gives considerable credit to the foresight of the late Bud Glassman, a primary early benefactor of the school, who insisted that the schools Glassman Campus had to be paid for before it was built. He made the primary gift himself and then fronted several other significant gifts  allowing those donors to pay him back over time. He expresses confidence that the school will survive the current recession, adding that the experience has taught, and is still teaching, several important lessons. Its been interesting for me because Ive only been involved in the day school world for some three-and-a-half years, says the former rabbi of EDOS. During that time, weve been working on a program for sustainability. Hes referring primarily to the symbiosis between DAT and the DAT Minyan, a relatively new congregation based in the school. The two institutions are separate formally but bound religiously and philosophically. The fact that the Minyan uses DATs facilities for its services provides much needed income to the school, not to mention a present and future student body. ENROLLMENT at Herzl-RMHA is remaining steady, but Krista Boscoe, the schools development director, is taking little encouragement from that fact. From the schools viewpoint, the implications are troublesome. Students at Herzl-RMHA typically attend the school from kindergarten all the way through high school graduation. Boscoe is convinced that the economy has reduced the kindergarten enrollment, and worried that the ripple effect might last for years. The economy is also affecting Herzl-RMHA in the most obvious place  the tuition assistance program. Were looking at $1.5 million in tuition assistance, which is up from the prior year, Boscoe says. We were quite high to begin with so that wasnt a substantial jump for us, like it was for some other schools which didnt have high tuition assistance to begin with. While Herzl-RMHA tries  and has formerly largely succeeded  to keep tuition assistance levels even from year to year, the current school term represents a 5-6% increase in such assistance from the previous one. That places increased pressure on the schools fundraising efforts, which are already under economy-induced pressures. Its crucial how Boscoe and other fundraisers spin the way the schools money is spent, she says. There can be resistance when potential donors are told that their money is going to pay for tuition assistance rather than direct school budget items. There are many parents who do not like the idea that they give fundraising dollars that go to help pay for another kid coming to school, she explains. The bulk of them want to know that their extra fundraising dollars are going directly to the classrooms, so were very careful how we say it. In some years, it looks like were raising exactly the same amount that were giving away in tuition assistance. It doesnt quite equate that way but often the numbers are very close. So we like to say that 75% of the budget is covered by tuition, 25% by fundraising. THE fact that those needs are increasing has forced the school to apply a somewhat stricter admissions policy. One harsh reality of the new economy, Boscoe says, is that students who are classified as high t.a. (tuition assistance) have a lesser chance of getting in. A professional day school group recently recommended that day schools look at each class individually and see how many students are on low tuition assistance, medium t.a. and high t.a. and try to balance it, so that not all your students are high t.a.,Boscoe says. Were really looking at low, medium and high, and if we have the maximum number on high t.a. and a student comes in mid-year, then we will not likely take that student. That has been a shift. We are looking for good long-term financial stability. Its been of great concern to the finance committee and the board as a whole, watching these tuition assistance numbers continue to rise. Although the tuition assistance policy is tightening, Boscoe adds, this doesnt mean that Herzl-RMHA is giving up on the idea of such assistance. In fact, she thinks its a crucial part of the schools mission. Further tightening at the school can be seen in its employee policies. Some administrative staff and teachers aides have already been laid off and teachers in the higher grades have been required to shoulder a heavier class load. In addition, staff teachers are being used in place of outside substitutes; health benefits have remained the same but faculty and staff now must pay for any premium increases; salaries have been frozen, with no raises or step increases; and life insurance and pension plans have been downscaled. The teachers and staff, Boscoe says, understand. WHILE the school had to absorb some debt due to the severe economic strains of last year, it is striving for a balanced budget for the current year. Its a leaner, meaner budget that it was, even after a reduction in 2008-09, Boscoe says. But that goal remains a considerable challenge, she adds. While Boscoes impression is that fundraising is heading northward, the school has had to endure significant reductions in grants from the Allied Jewish Federation and Rose Community Foundation (not counting the emergency grant it made to Herzl-RMHA last year). Planning for next year is also worrisome. On a somewhat more hopeful note, while foundation and federation revenue is down, fundraising from individual donors is looking better. In fact, its looking much stronger this year than last year. Boscoe says. Last year was definitely tough. We were down 20%. So far it looks like were going to make that back up this year. Put in numerical terms, Herzl-RMHA raises some $1.2 million in a typical year. Last year, the schools fundraising dropped to $1 million. This year, the school is hoping to raise about $1.1 million. Part of the cautious optimism, Boscoe theorizes, is due to a shift in donor perceptions. Boscoe remains confident that Herzl-RMHA will emerge from the downturn. The school is currently working on a name change (Hebrew Academy of the Rockies or HAR is the current favorite) and is composing a new strategic plan to help expand the schools marketing and branding efforts. Do we think that the school is going to grow substantially? she asks. Among the many lessons taught by the troubled economic climate, Boscoe adds, is just how important good old-fashioned marketing and development really are. For me, the biggest lesson is the importance of the opportunity to meet face-to-face with a donor and to educate them about your needs and then continue to push for them being visionary leaders and keeping the school in their estate plans down the road. MORDECHAI Hoffman, director of Hillel Academy, is a determined optimist, even though the day school he directs has certainly not escaped the current recession unscathed. In fact, he states frankly that Hillel, the oldest day school in Denvers Jewish community, recently came precariously close to closing its doors. A significant reorganization of the school a few years ago  which included the paying off of a quarter million dollars of old debt  is likely the reason why it survived the current hard times, he says. If we hadnt gone through the reorganization that we went through, we probably wouldnt be here, Hoffman says. Adding fuel to his optimism is the fact that Hillel Academys student body is actually growing, a development which very few private schools are experiencing these days. Enrollment has gone up, Hoffman says. A major reason for the growth, he believes, is the fact that Hillel has worked over the past several years to improve its educational reputation, most crucially by bringing up standards in its secular studies program. Another growth incentive, Hoffman believes, is the steady growth of Denvers Orthodox community, traditionally a major source of Hillels student body. He cites the success of regional outreach efforts in recent years as a significant boost to his own enrollment. HILLEL Academy has traditionally been a generous institution when it comes to tuition assistance, a trait that hasnt diminished. But Hoffman doesnt accept the premise that many parents choose the school simply because it can be an economical decision. We do have a no child left behind policy, he says. We dont send someone away because of financial ability. We give out about $750,000 of scholarships in any given year. The tuition assistance figure cited by Hoffman represents about half of the schools budget of $1.5 million, he says, and it is a figure that continues to rise. Thats encouraging news from the standpoint of one of the schools primary missions  to encourage and strengthen Jewish observance  but it does place additional strains on a budget that has struggled with debt for years. Nonetheless, the budget pressures of the moment remain significant. The school has tried to reduce its budget but has come to the sobering realization that it has already cut most of the corners that can be cut. We operate a very tight budget anyway and have done so for the past few years, Hoffman says. We are limited in what we can cut. Weve just been more cautious about some of the decisions weve made. The budget hasnt increased and weve been running a fairly tight ship. An overall decline in revenue from foundations  despite the much-needed and much-appreciated emergency grant from Rose Community Foundation last year  has highlighted the importance of Hillels fundraising efforts, Hoffman indicates. TO an extent, he says, the schools individual donors have come to the rescue, even though donations are down this year, he says. We do have a very committed parent body and donor body who have traditionally made a huge effort to ensure that Hillel Academy is the last one to be thrown by the wayside in times of financial crisis. So what Im saying is even though weve had that, there have been people who have been able to come through in different ways because they feel that the school is very important. Ive seen some people who have given large amounts in the past find it hard to cover those levels this year or last year because they had money in the stock market or perhaps they lost their job or whatever the situation was. Those donors who have been the most helpful and consistent, Hoffman says, are those who fall into the middle category of philanthropists. He cites a tendency in a recession for the most affluent portion of the donor base, and the least affluent portion, to pull back. The middle portion tends to be hurt less financially, and in the current case, this portion has helped to pick up some of the slack. That has been one of the most valuable lessons taught by the current economic climate, in Hoffmans opinion. The idea is that some philanthropists suffer less than others, because of the nature of their investment strategies. The more diversified the donor base, in other words, the more likely an institution like Hillel will survive. Hoffman recently returned from a conference in Miami where he, like many others, was surprised by the very unseasonable cold weather. He took note of the fact that one of the most successful business ventures during his trip was the sale of sweaters from the hotel gift shops  an example of how some businesses thrive while others suffer. WITHOUT asking them to be prophets or Wall Street Journal analysts, these three school spokespersons were asked for their personal prognostications, based on their front-line experience, of when the economic weather is likely to improve. Traditionally, non-profits have lagged two years behind the economy, says Hoffman of Hillel Academy. If the economy starts picking up, its going to be two years before people feel confident enough to give money to the non-profits. The number of non-profit institutions is rising, and fairly precipitously, Hoffman notes, and therefore the competition is steadily increasing for what is essentially the same pot of money. Karla Boscoe of Herzl-RMHA is willing to be a bit more specific. I would say well see substantial improvement within 12-24 months, which is about the timeframe that well be looking at to go into our next capital campaign, she says. Rabbi Daniel Alter of DAT provides the briefest  and perhaps the most brutally honest  answer of them all. I have no clue, he says simply.